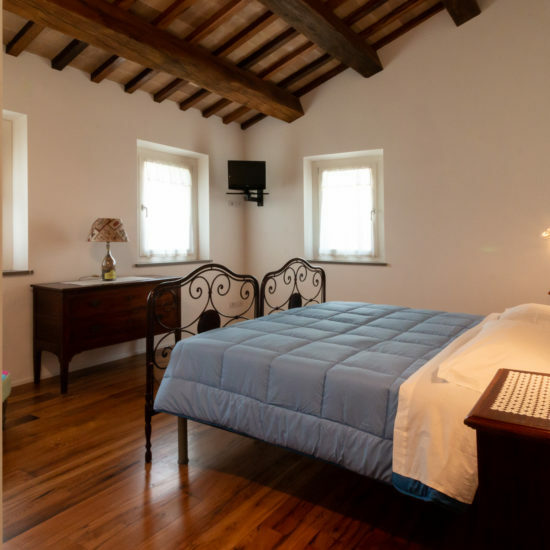 Our villa is available for up to 10 guests the entire year, for a family stay, a board meeting and it’s the perfect place for couples to enjoy the tranquility that Italy has to offer. 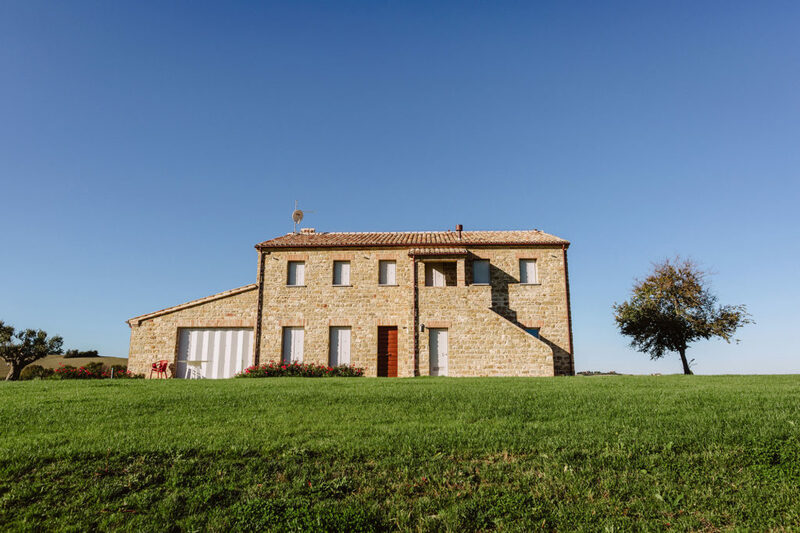 With direct access from the villa you can visit an infinity of ancient medieval towns from Filottrano to Osimo passing for Treia, San Severino or Cingoli himself, birthplace of Pope Pius VIII. The villa is also located close to the lake of Cingoli, and at 50 minutes by car the Frasassi’s caves are a must see for our guests. A swim in the sea of ​​Portonovo and Numana only does you good. The villa complex embraces two buildings, the main building and a lovely, calm annex near to the pool, both full restored. 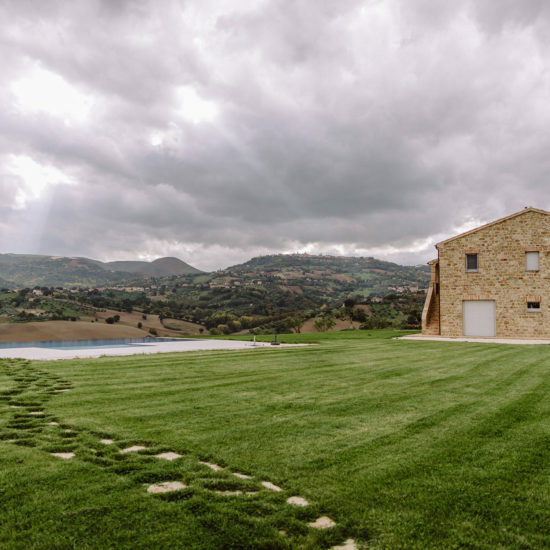 Villa ‘Casale mignola’ has a unbelievable view in front of Cingoli with it’s sweet hills that change color each week. 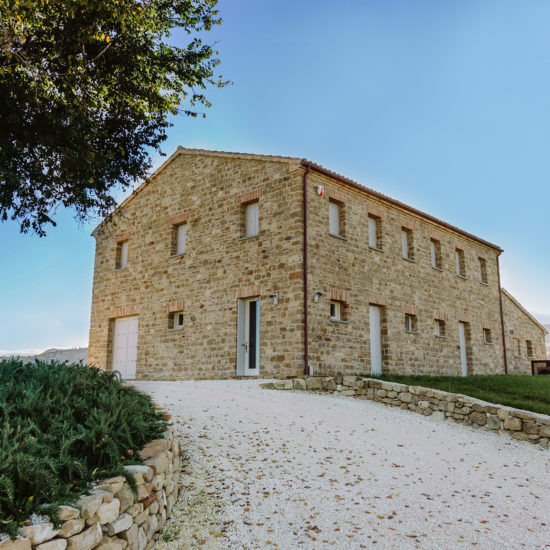 Protagonist of the ‘Casale Mignola ‘is the nature from which it is surrounded in the most absolute privacy of the almost two hectares of land where the olive grove is the master with 200 plants of ‘mignola’. 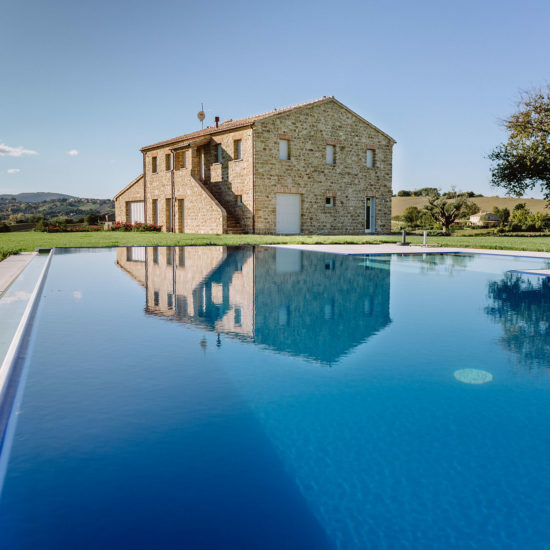 Casale Mignola includes two parts, the main farmhouse and the pool home. 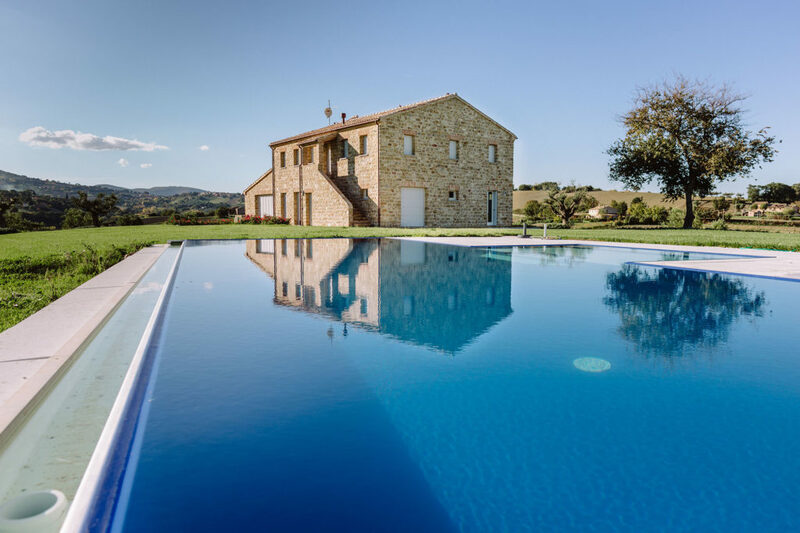 The farmhouse has been completely rebuilt respecting the old standard of a typical Marche’s farmhouse. The Villa has the luxury brought back in style for all our guests to enjoy. 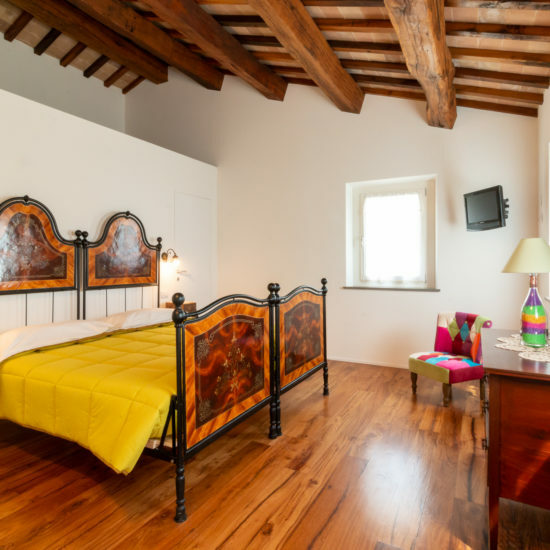 Both the upper floor where the bedrooms are located, and on the ground floor the living space have spectacular views that our guests can enjoy day and night. On the ground floor a 50 square meters kitchen realized for the farmhouse in stainless steel 304 Italian design by “Ideal Cucine” equipped with Ariston professional appliances, an Ariston combo refrigerator freezer 2mt high, two Barbecue Hot point Ariston, a dishwasher and an Ariston cooking base. In the dining area you will find an ancient sartorial table, of 3.5mt length, coming from the North West area of Italy can accommodate 14 people. 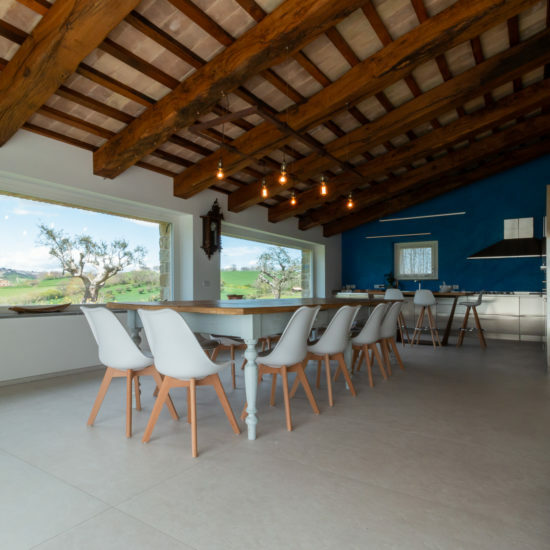 In front of the kitchen, a piece of design produced from company “Elite To Be” can be used to cook or the have the breakfast in front of a faveolus view of the surrounding hills. In the living room of the house there are some design furniture produced from “Caccaro”, an Italian producer of luxury furniture. On the center of the stone wall recovered from the old house a suspending fire place produced from Focus , you will find a piece of design whose design dates back to the 60s invented from Mr. Dominique Imbert and present to the Guggenheim museum in New York City. Also on the t the ground floor, our guests can enjoy an evening with all the guests and visitors playing billiard on an original table built in 1958 by the Italian company Hermelin in Milan. The billiard table has been brought back to life after a month-long restoration. A bathroom with washing machine complete the ground floor. 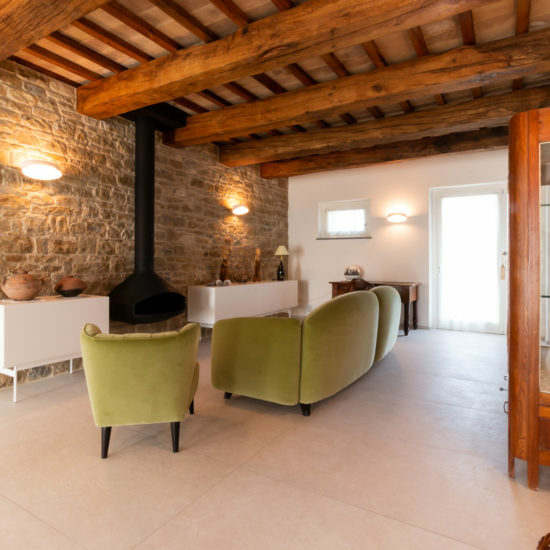 A staircase made of glass and “pietra serena” a local stone take our guests at the first floor completely covered with a wooden floor built with old recovered oak beams. All four luxury double bedrooms have an in-suite bathroom, with rain shower, bidet and sink. Each bathroom is equipped with linen, towels, towel for shower. 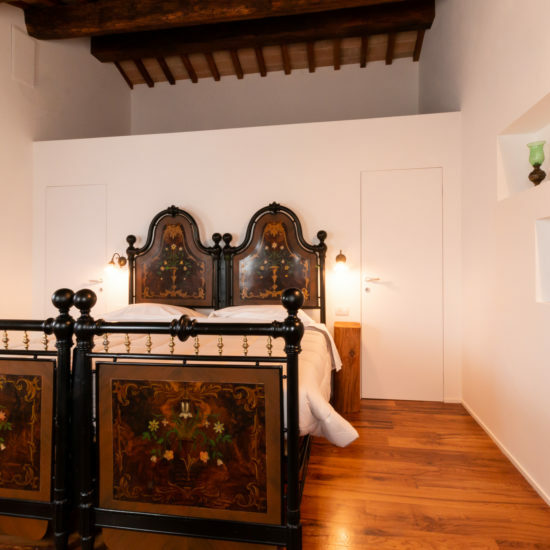 Our bedrooms will be an unforgettable experience, sleeping on 100-year-old bed. A stunning cottage completes the property.